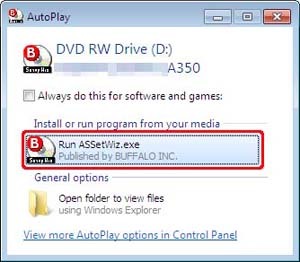 Delete and reinstall a wireless LAN driver - Details of an answer | Buffalo Inc.
Updating a wireless LAN driver should be operated as below. Delete a wireless LAN driver. Re-install a wireless LAN driver. 1. Delete a wireless LAN driver. * If you don't have bundled AirNavigator CD (Setup Wizard), download the latest AirNavigator from the website in your region. Click here, link to the website in each region. Shut down a PC, and remove your wireless LAN device. * Open "My Computer", and double-click the icon of AirNavigator CD when the menu screen is not displayed. Click [Client Setup] in the menu screen. If your screen is like below, click [Client Tool]. Click [Options] button in the menu screen. You may see the screen as below. 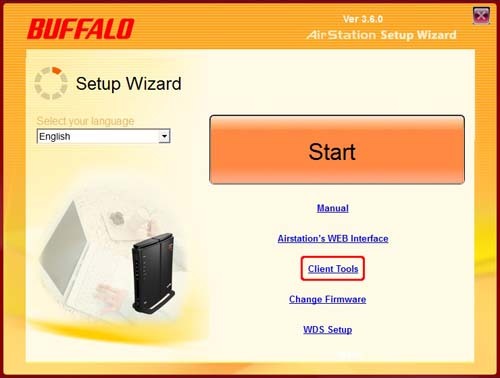 Click [Install Wireless Client Driver and Application] button first. 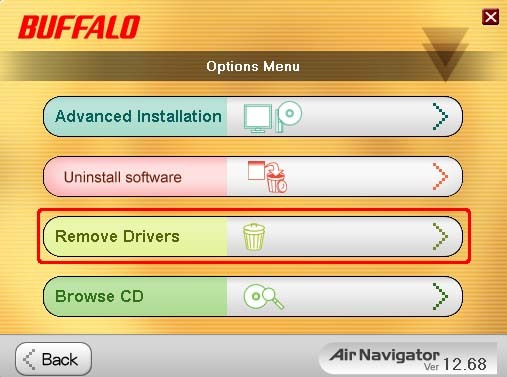 Click [Remove Drivers] in "Options Menu". 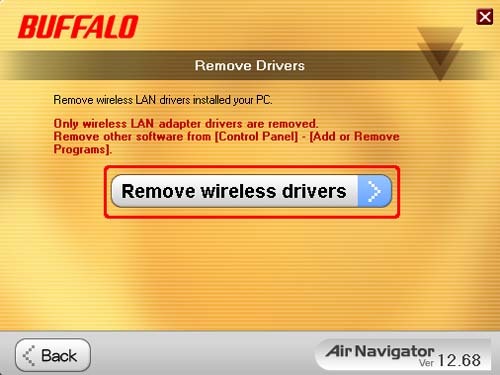 Click [Remove wireless drivers] in "Remove Drivers" screen. 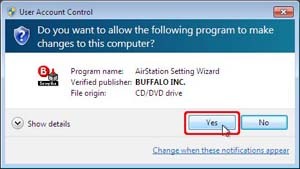 Click [Yes] in the "Delete driver" screen. Wait for a while as showing the following screen. 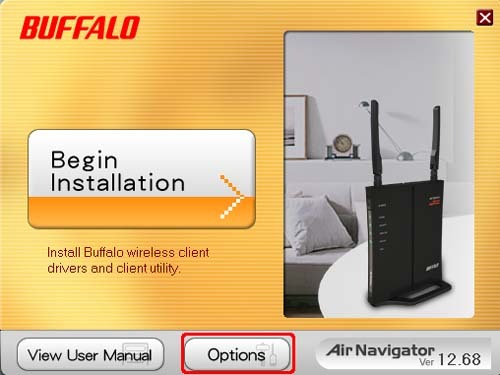 Buffalo wireless LAN driver is deleted completely by this operation. Click [OK] and close the "Finished" screen when the uninstallation is complete. Shut down the PC then. 2. Reinstall a wireless LAN driver. * Do not insert a wireless LAN device at this point. 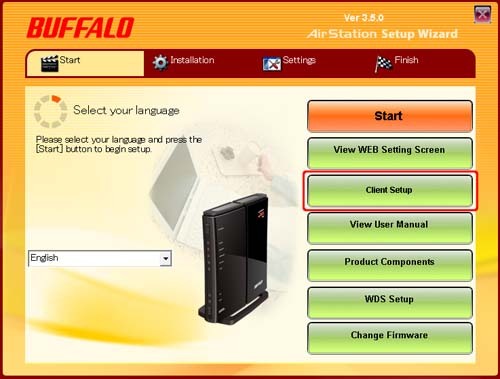 After the menu is launched, reinstall the wireless LAN driver following the display. Insert the wireless LAN device following by the instruction.